The following is a transcript of my interview with David Gates, Project Manager of Osiris Studios, about his new game, Mist of Stagnation. Josh : So, anything you want to tell us before we get to my questions? 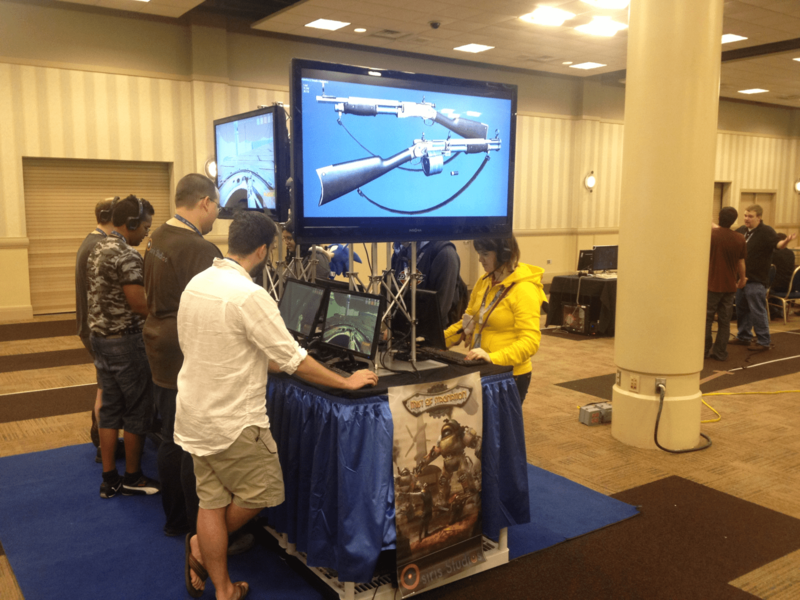 David : It’s a FPS / RTS setup in a Steampunk world. You have Commanders on each team that are going to be responsible for all your team’s upgrades, such as technology and capabilities. The way that your team gets these resources is through Control Points. The objective in this game on the map is to get to different Control Points, which amount to resources your Commander uses to assist. Like the shotgun, for example, you can upgrade to a drum shotgun, then full automatic. Once you get to stuff like that- the higher tiered weapons- which will usually be later in the game, they get pretty powerful. Josh : Now, physically, what do the Control Points look like? Are they crystalline structures? Are they mechanical? David : Right now, they’re just floating dots of light, which are placeholders. What we are wanting to do is make it actually look like specific things. For example, one of the maps we’re working for is a Mining Camp, so, there, the Control Points would be drills and tanks and stuff that pumps things out of the ground. Josh : So they vary by the area? 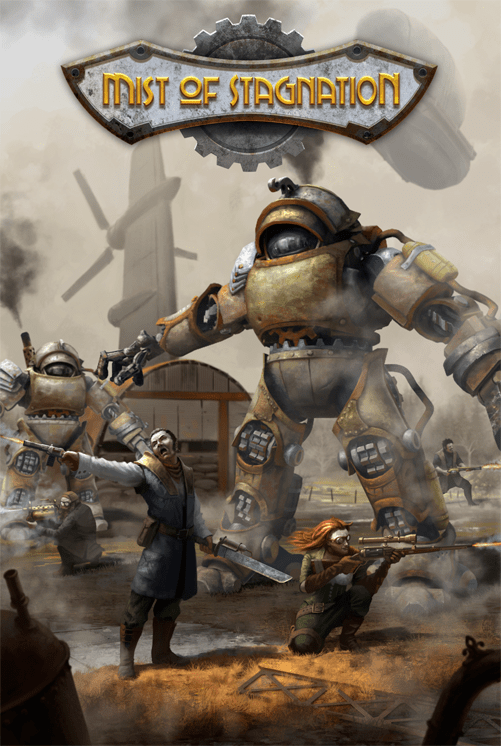 (nods in assent) Okay, so what I’m most curious about is why Steampunk for a FPS/RTS game? David : One of the reasons is we’re tired of the same old weapons, and this gave us a chance to go a little outside of the box with the weapons especially. And the environments are so much cooler! David : Yes. Some people call it a post apocalyptic, and it kind of is, and our storyline is based on H.P. Lovecraft. David : Yeah. The story part isn’t really going to be present too much right now. We’re actually going to make the mulitplayer part of the game first, and then work on a different single player campaign. Josh : Well, multiplayer is usually a good selling point. David : We wanted to build a community around it first. Josh : What systems is this going to be for? Is it just PC, or are you thinking of porting it to consoles? David : Initially, it’s going to be PC and Mac. But we are really interested in the next generation of consoles coming out, and the hardware that would run it. Higher graphics. The other map, which we’re not showing at this show, is really dynamic with moving grass, trees etc. Visually, it will blow you away. So, if you have a really powerful PC, you can crank up all the settings, but it will be scaleable also, so if you have a mid-tier PC you can still play it. Josh : So, you already have some experience with FPS? Didn’t you or one of your crew work on Half-Life? David : Well, we did a lot of modding for it. Josh : Do you have interest in any other genres? Any interest to focus on something besides Steampunk for future projects? David : We’re looking into the story part of the game, which will be a prequel to Mist of Stagnation, is actually an RPG. It’s a co-op RPG similar to other games. It’s more story-based, quest-based. Josh : Will that have the same or similar characters? Is it just going to be a better format to do a story? David : The art style for Mist is practical Steampunk. It’s not like a lot of games that do fantasy Steampunk, and just put a gear on a hat and call it a Steampunk hat. Everything that we have in here could actually exist in the real world. Like everything we use for weapons does serve a purpose. We took a lot of care into that. The single player will be leaning more towards the fantasy side. Josh : So the multiplayer is more practical. Does that mean just humans versus humans in that? Josh : For the the other one, might we have creatures or monsters? Josh : I don’t want you to spill the beans, I was just curious. And I was also curious what inspired your team to do this game for your flagship game? David : We’ve been working together for years. We’ve done mods and stuff like that. And then we decided, hey, let’s make it for real. Josh : Well, that’s all my questions, unless you have anything else you want to say? David : Right now we’ve got Steam Greenlight, and we’re working our way through that. And our Kickstarter is going to start on September 16. Josh : Not too far off. David : Two weeks away! Josh : Cool. Well I appreciate your time! David : Absolutely. Thank you.